Did you know that roughly 57 people are currently in pirate hands? Or that the average pirate will make up to $75,000 a run? While piracy has decreased markedly over the last few years, thanks in large part to the concerted efforts of anti-piracy responses in key areas including the Gulf of Aden, it remains an extraordinarily profitable enterprise. 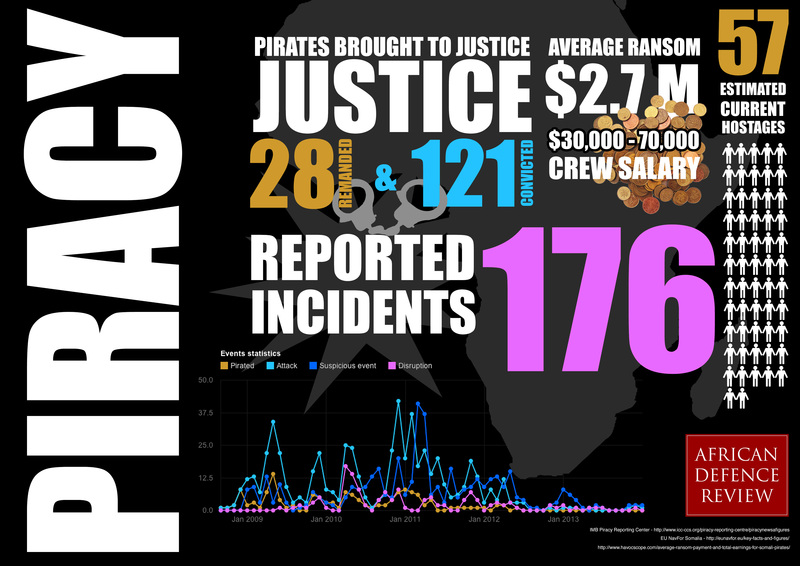 African Defence Review pulled together some key stats to give you an infographic look at the state of piracy around Africa’s waters.